8' tall security fencing with bollards. A back alley had become a short-cut for cars and had become unsafe for the residents. After approval by the city, 8' tall security fencing with bollards (to protect the fence from cars driving through) was installed. A nice topper for a masonry wall. This 18" tall security topper helps make the difference between relatively simple climbable access and not. It looks nice, adds a decorative touch and accomplishes just what they needed. 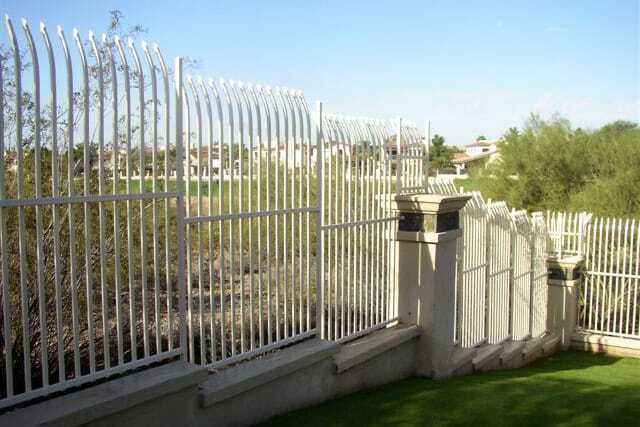 Strong secure security fencing for this HOA. 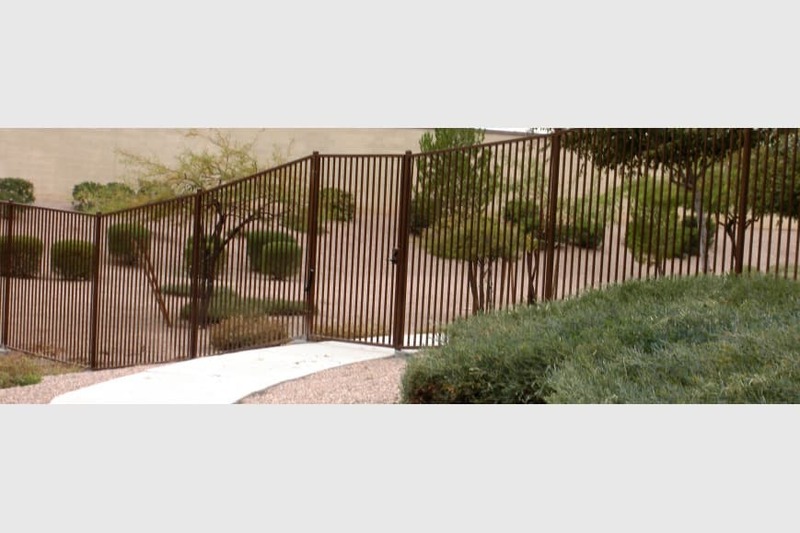 A closer look at this 7' tall security fencing protecting the HOA common areas. 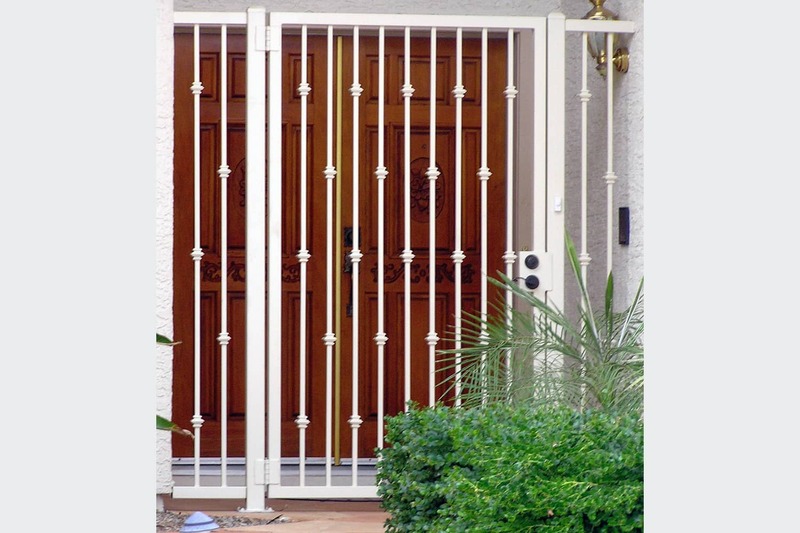 Locking gates allow resident access while keeping out the uninvited. This 6' tall security gate goes with the pinched picket and shepherd hook fencing shown in the previous image. 8' tall security fencing with pinched pickets and shepherds hooks. 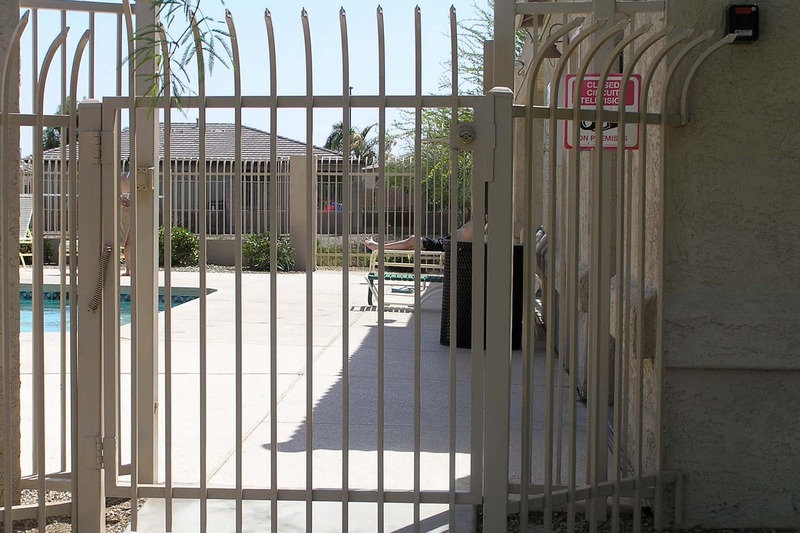 In a situation similar to the 7' security fencing picture, this community was experiencing a high amount of vandalism to their community areas and pools. 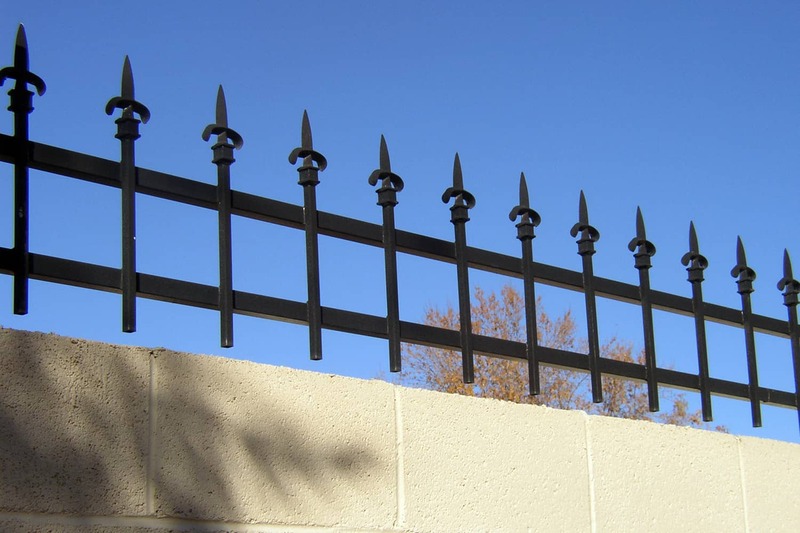 This 8' tall security fencing nearly eliminated that problem. It was painted to blend with the area while providing a high degree of security. 8' tall security gate and panels. 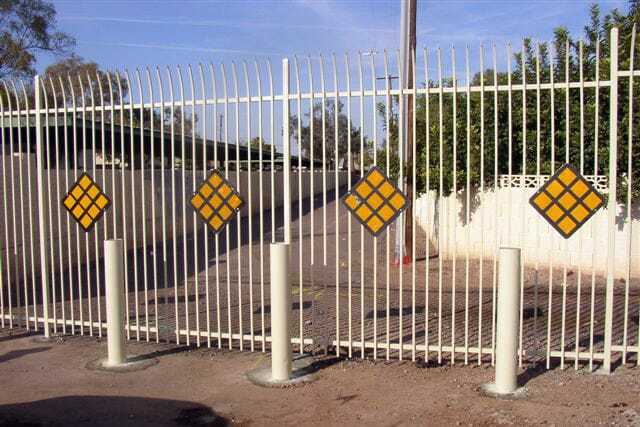 A situation needing "nice" looking security allowed us to design and install this tall, large frame security gate and side panels. The materials are upsized and securely installed for maximum security at this front door.